"You are bored of dragging solitaire, stucking tri peaks, tidious sudoku? Go for world's most frantic speed patience with just 2 brainfreezing rules! Do 100 cards in a minute leaving your friends saucer-eyed!" 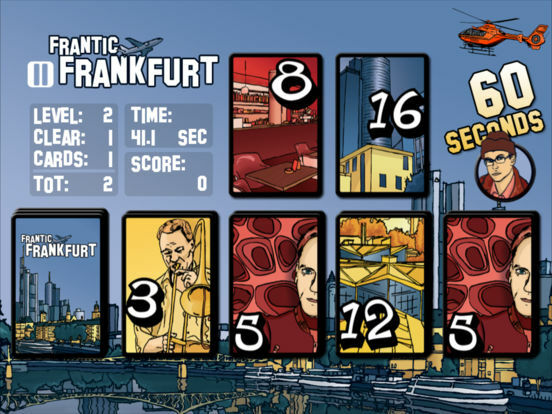 Frantic Frankfurt for iOS is a free and simple game. 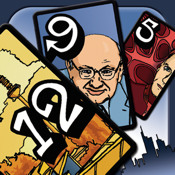 It is based on the card game by Günter Burkhardt. 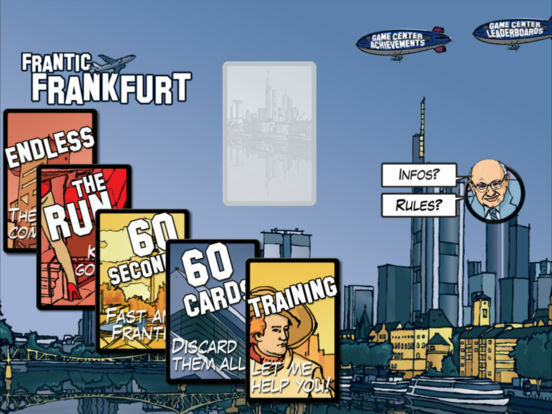 You will see impressive drawings of places around Frankfurt.